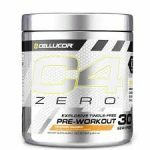 Cellucor C4 Zero - $12.79 Shipped!! The price on the Cellucor C4 Zero 30 Servings, drops from $15.99 to $12.78 shipped at eBay. This is also the lowest price we could find by $27. 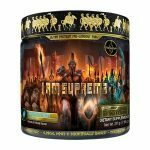 Olympus Labs 'I am Supreme' Pre-Workout - $21EA + Free Shipping! Deal Categories: Pre Workout Products.Stores: Best Price Nutrition. BOOM! The first ever BOGO FREE on the new edition of the popular RE1GN pre-workout – Olympus Labs I am supreme black magic edition. Best Price Nutrition is offering 2 tubs for $44.99 but even better you can use coupon code ‘DEALS5‘ and drop the price for 2 tubs to $42.5 and FREE SHIPPING! Apply coupon ‘DEALS5‘ & proceed to checkout. This is an amazing price (this pre sells for $40 + shipping anywhere else). So great opportunity to stock up!